Two board game style puzzle titles, developed by Grounding and published by Nintendo for their download services. 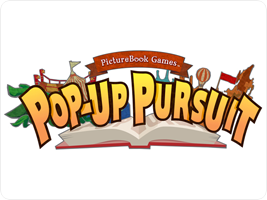 In Pop-Up Pursuit, players move around event-filled boards, trying to stop opponents from advancing with special cards. In The Royal Bluff, you have to guess the color of your opponents' chips. But are they bluffing?